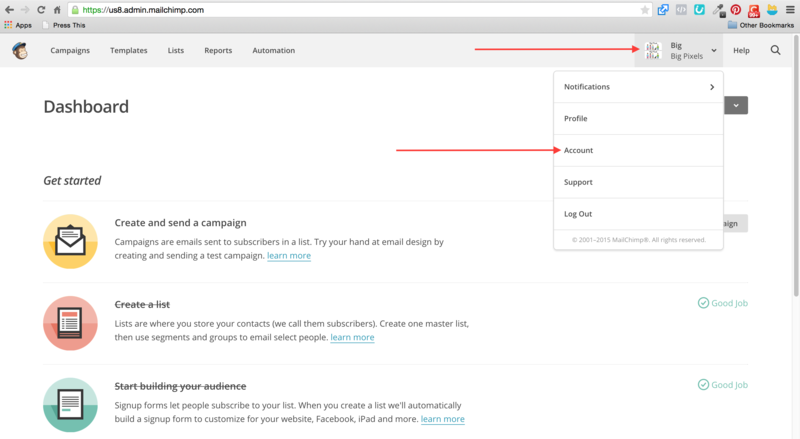 1: Login to your MailChimp account and click on your account name at the top right corner. Now click on Account in the drop down. Step 2: Under the Extras tab, there’ll be a drop down. 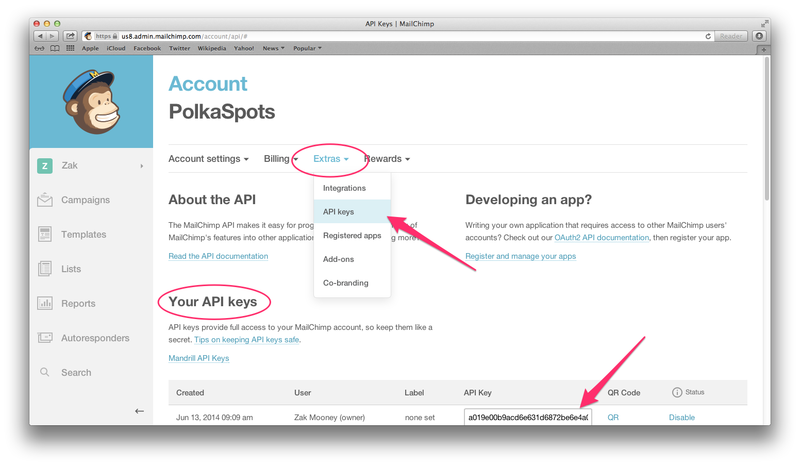 Select API Keys. Step 3: Scroll to the bottom and click the Create A Key button to generate a new key or just highlight and copy an existing key. 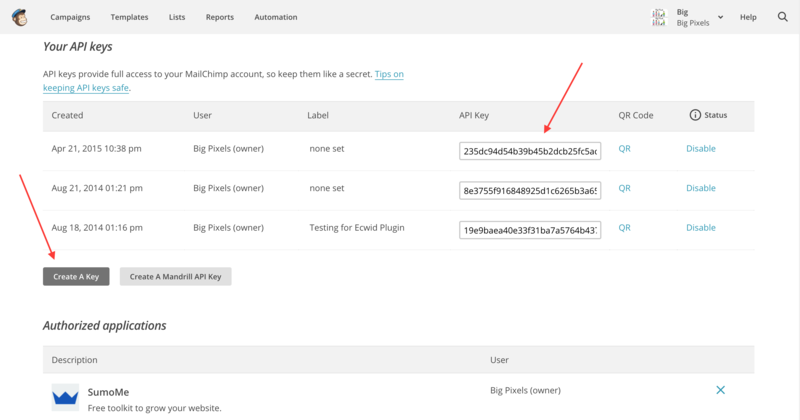 Step 4: Paste this key in the “MailChimp + Ecwid App” inside your Ecwid dashboard, where it says MailChimp API Key. Don’t click the save button just yet. You’ll click save after you add your List ID in the next step. Step 5: Now you need to get your List ID. Scroll all the way to the top and click Lists. 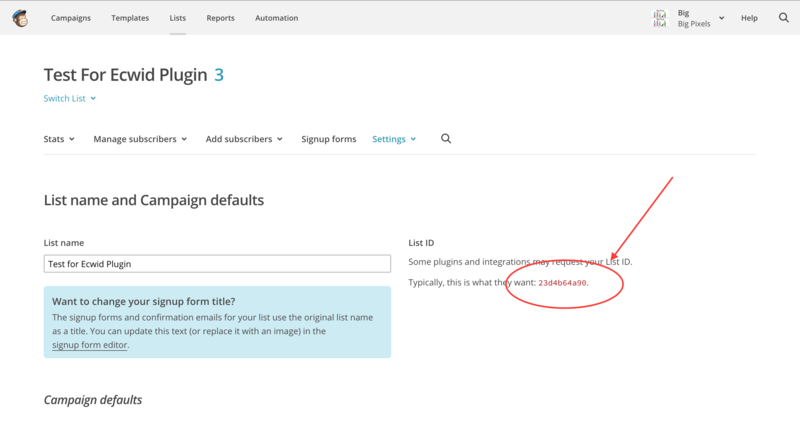 Step 6: Now click on (or create) a List that you want your new Ecwid customers to be automatically imported to. We recommend you name it Ecwid Customers. Step 7: Go to the Settings tab and click on List name & defaults. Step 8: Your List ID will be found here. 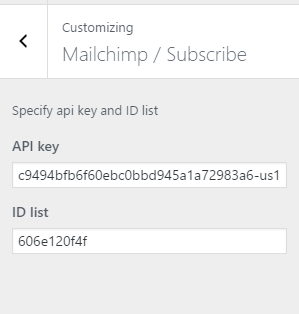 Step 8: Paste this number in the “MailChimp + Ecwid App” inside your Ecwid dashboard, where it says List ID, and now you can click the SAVE button.